In observance of Earth Hour, SM malls across the country will take part in the symbolic hour-long lights off at exactly 8:30 PM on March 30 in order to spark awareness on how to take care and take actions for a healthy planet. Now on its 11th year with SM, Earth Hour’s worldwide theme for 2019 is #Connect2Earth, a global campaign to tell people why nature matters. The theme focuses on biodiversity. It seeks to raise awareness of climate change and get the community involved in helping care for the environment and all living species. Participating SM malls will come up with their own creative executions and programs in raising awareness about climate change and in getting the community to participate in a collective effort to care for the environment. “SM recognizes the importance of protecting our environment since it is our source of life. Nature matters to every one of us. This is the reason why we support conservation campaigns like Earth Hour. 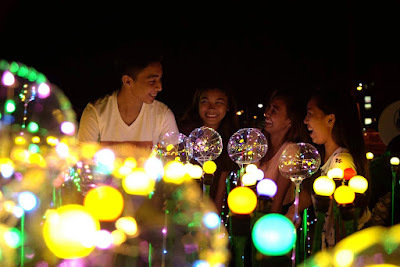 A global event such as Earth Hour is essential to stir widespread awareness and promote solidarity in conserving our natural resources,” said Liza Silerio, Director of SM Cares Program on the Environment and Sustainability. Everyone is invited to come together at SM, as the malls embrace this advocacy of taking a step against the accelerating threat of climate change and biodiversity loss. Aside from Earth Hour observance, SM has several other environmental sustainability programs including the Trash to Cash recycling markets in SM malls, daily water recycling system, automated weather stations, solar rooftops, and environmental campaigns such as the Green Film Festival. SM Cares is the Corporate Social Responsibility arm of SM Prime Holdings, Inc. Its advocacies include Environment Sustainability, Programs on Persons with Disabilities, Children and Youth, Women and Breastfeeding Mothers, and Senior Citizens. As a responsible mall developer, SM ensures that its corporate social responsibility programs serve as a catalyst for positive change in the communities that it supports. To know more about SM Cares, you may visit www.smcares.com.ph, www.facebook.com/OfficialSMCares or email smcares@smsupermalls.com.